MedalTest Organiser uses PDF to produce all it's documents. This gives the advantage that it does not matter what type of printer you use, the results will always be the same. Typically, the buttons for the full reports are above the Selections line on the screen, while the buttons for the reports requiring selection are below. Reports that require selection mean that you must tick one or more rows on the screen before printing. For example, the "Print Candidate Report" button in the exam session details screen requires you to select for which candidate exam(s) you wish to print a report. Conversely, the "Print Timetable" button requires no selections as all candidate exams will be printed automatically on the timetable report. However, if items are selected for printing, then even the full reports will act as requested and print only the selected items. The report can be saved for later, but usually you will just want to click the "Open" button. 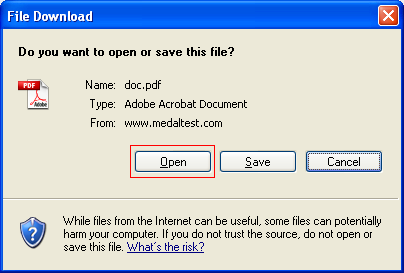 The report will then be copied to your computer (this may take a few seconds) and then PDF will open automatically and show you the contents of the report. 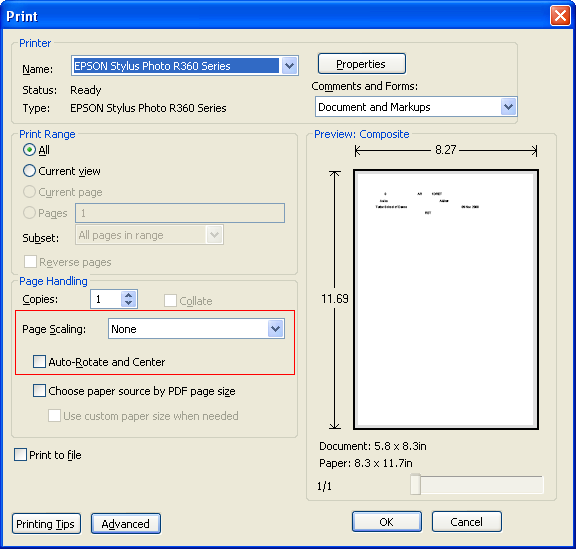 If you wish to print a copy of the report on your printer, click the Print button, or choose File, Print. Ensure that "Page Scaling" is set to None, and "Auto-Rotate and Center" is NOT ticked. This only needs to be checked once, as PDF will remember the settings for future use. However, if you change them for any other use remember to set them back again before using pre-printed stationery.